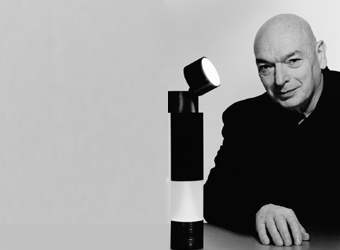 An insatiable gusto for creative experimentation drives the work of Jean Nouvel. Born in France in 1945, Nouvel combines an artistic sensibility with theoretical concepts when considering issues of design.Known for approaching architecture as a sculptor, he infuses native cultural elements within his designs for the built environment. In 2008, Nouvel was awarded The Pritzker Architectural Prize. Resembling a high-tech traffic light, Equilibrist balances 2 different LED light sources like the weights of a scale. 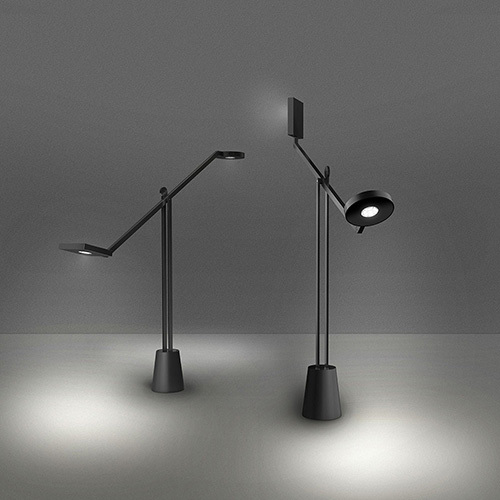 The diffuser heads rotate around a vertical axis, emitting non-symmetrical light and operate separately with dimmer switches. 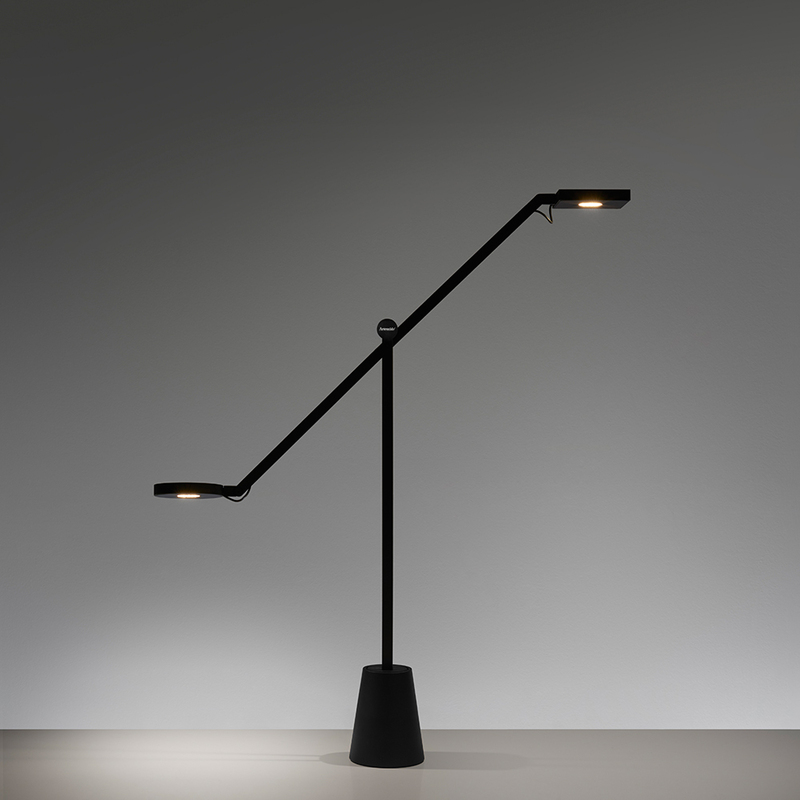 Made of black metal, the Equilibrist table lamp was awarded a Wallpaper Design Award in 2015. -Heads in painted die-cast aluminum. -Base in painted zamak with steel counterweight.